This visit was from our weekend getaway to Liverpool. It was actually my first time visiting Liverpool and wowww the city had a lot more going on than I expected, I might need to pay another visit soon! 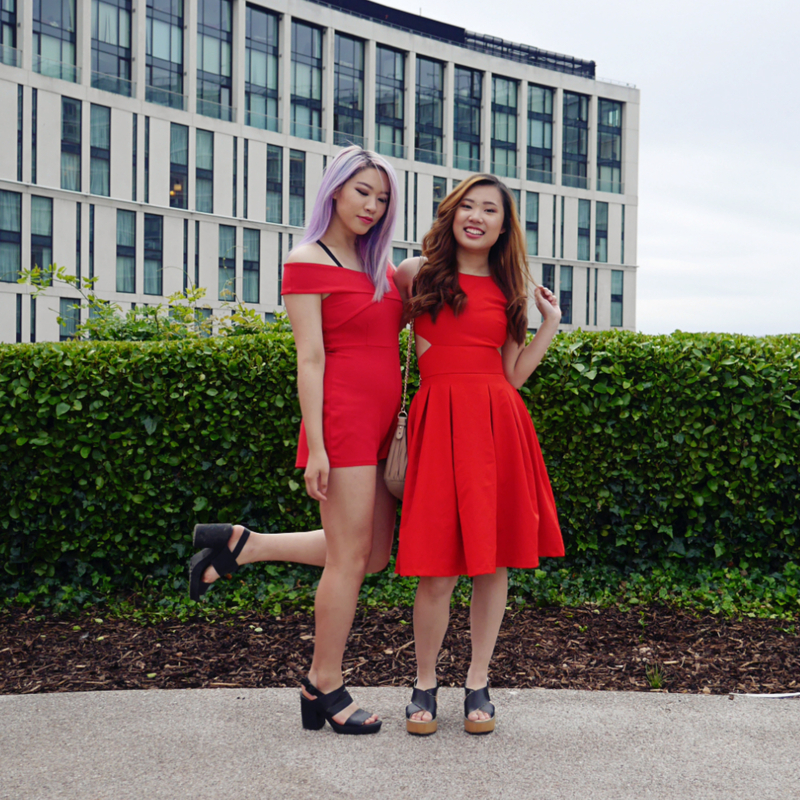 We wore matching outfits because we're extra like that; the playsuit I'm wearing is from Missguided. To start off the night, we ordered Passion Martinis. It was a pretty strong cocktail, we were already feeling the buzz from a few sips! Made with vodka, Cointreau, passion fruit syrup and passoa, the flavour was nicely balanced given the high alcohol content in it. 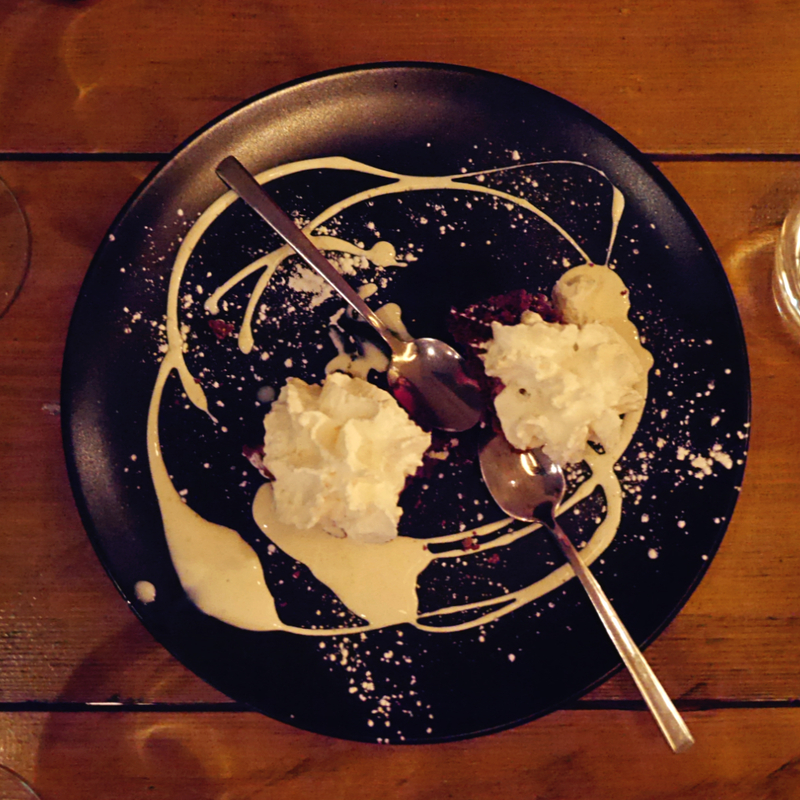 You could taste the passion fruit and it wasn't too sweet. Phwoarrrr, look at that portion size! 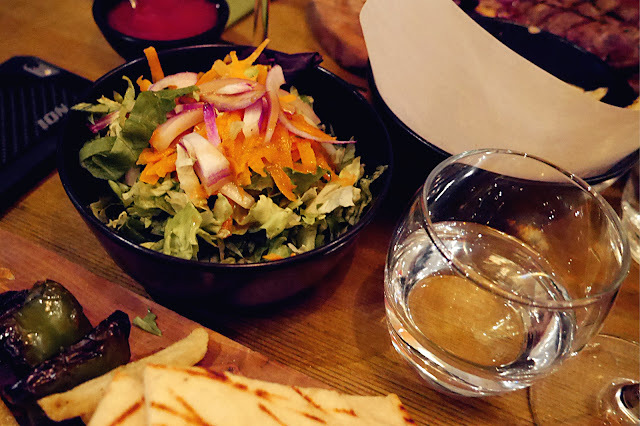 I love how they served the food on wooden boards. 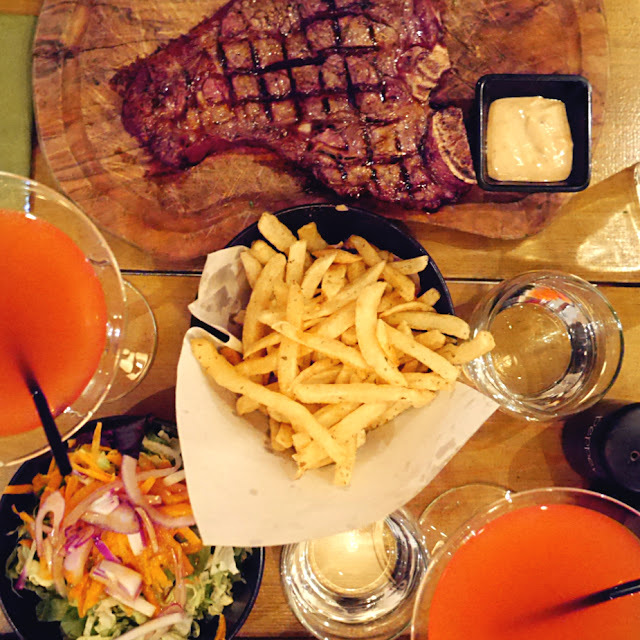 Claudia got the T-bone steak which also came with a bowl of garden salad and fries. I opted for a veggie option because for some reason that night, I was trying to be "a good vegetarian and do my part for the planet" yeah.... talk about having a weird mood swing and the wrong timing for it at a meat speciality restaurant! For those that aren't familiar with my blog, i'm not actually a vegetarian but sometimes I have mini episodes of trying to contribute to sustainability. Enough rambling, the veggie grill had grilled pitta bread, zucchini courgette, peppers, mushrooms, fries and sweet chilli sauce. It was a bit bland, definitely could have done with some seasoning but the sauce made up for the lack of flavour. I do wish I went for a good old steak or chicken instead! We didn't actually order the cake, the owner of Grilla was super lovely and adored our matching outfits so he gave us a complimentary cake to finish off the night. Such a cute surprise and it tasted so good! 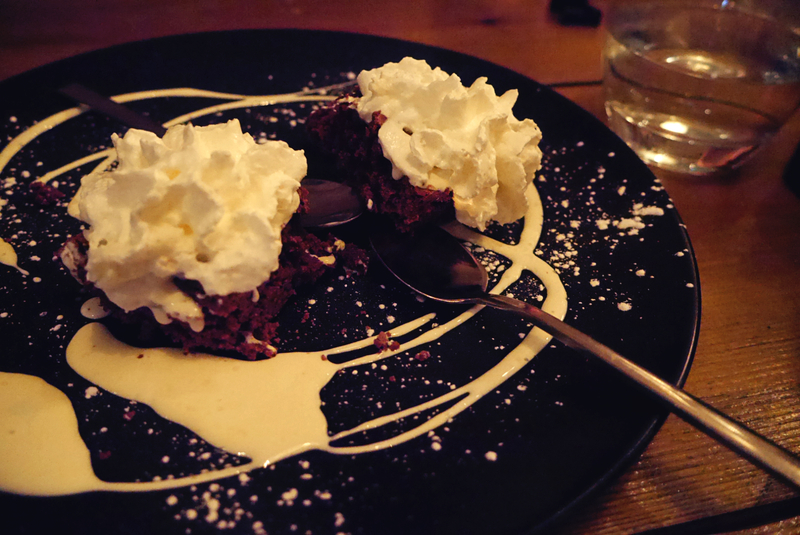 I'm not sure what cake it was since I can't find it on the menu but it had a rich chocolate and berries flavour, topped with some light and fluffy fresh cream. 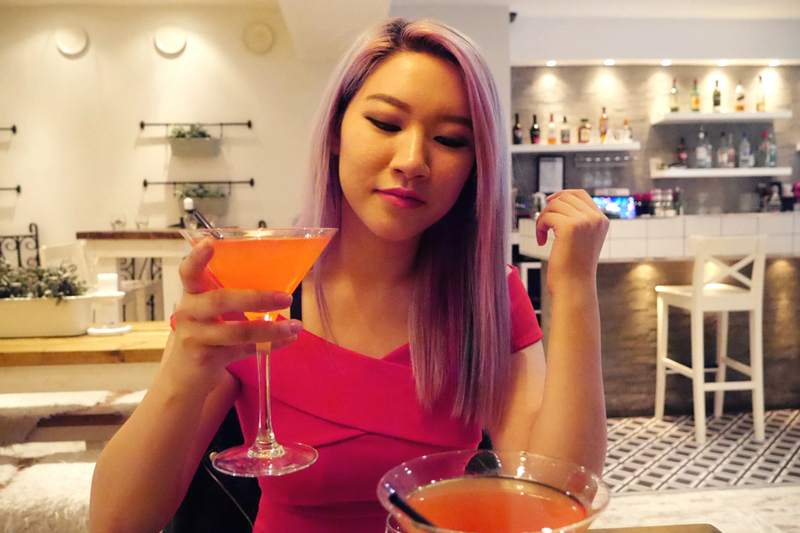 The atmosphere was super chill, the staff were super friendly and of course, I love their cocktail deals (because you know I'm an alcoholic, we love a bevvy and even more when it's discounted!). 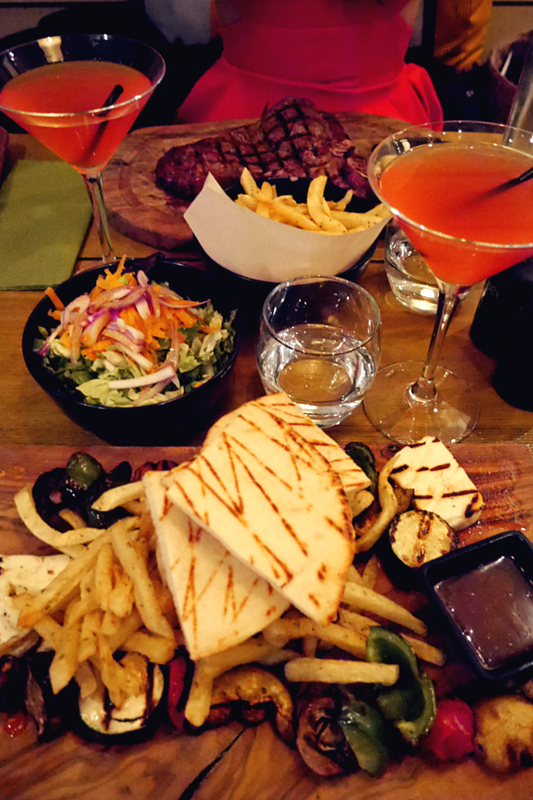 Food-wise, in my experience, I feel like their meaty options are much better than their vegetarian ones, well it is a meat grill restaurant after all! Personally, I wouldn't order the veggie grill again because it was lacking seasoning, but the steak was juicy. 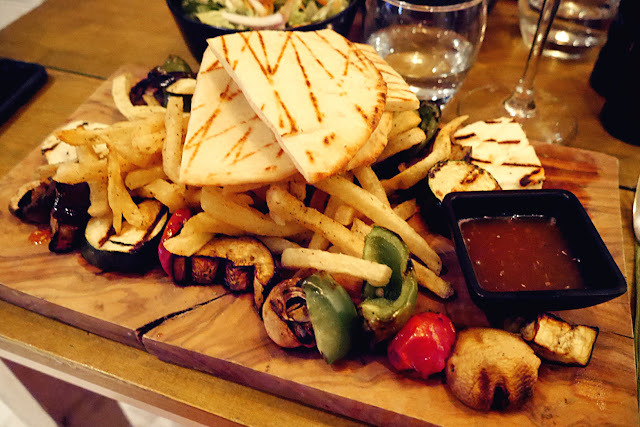 I would love to try out their Greek dishes like the souvlakis next time since we only tried out the grill section. The portions are huge, which is great! 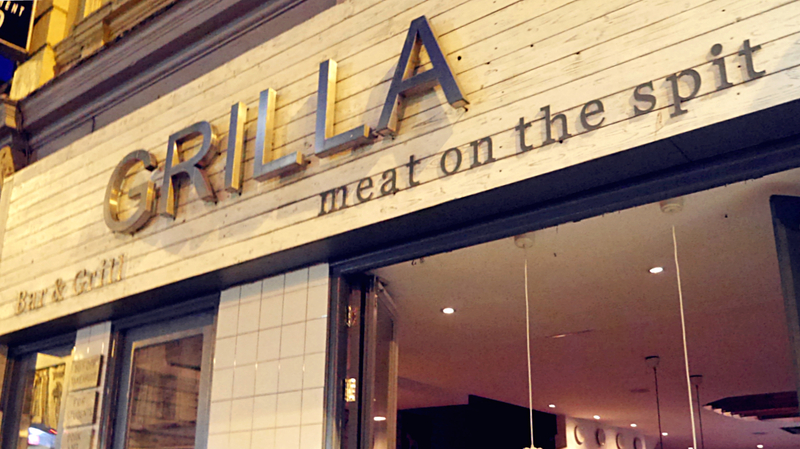 I would rate Grilla 6.5/10. 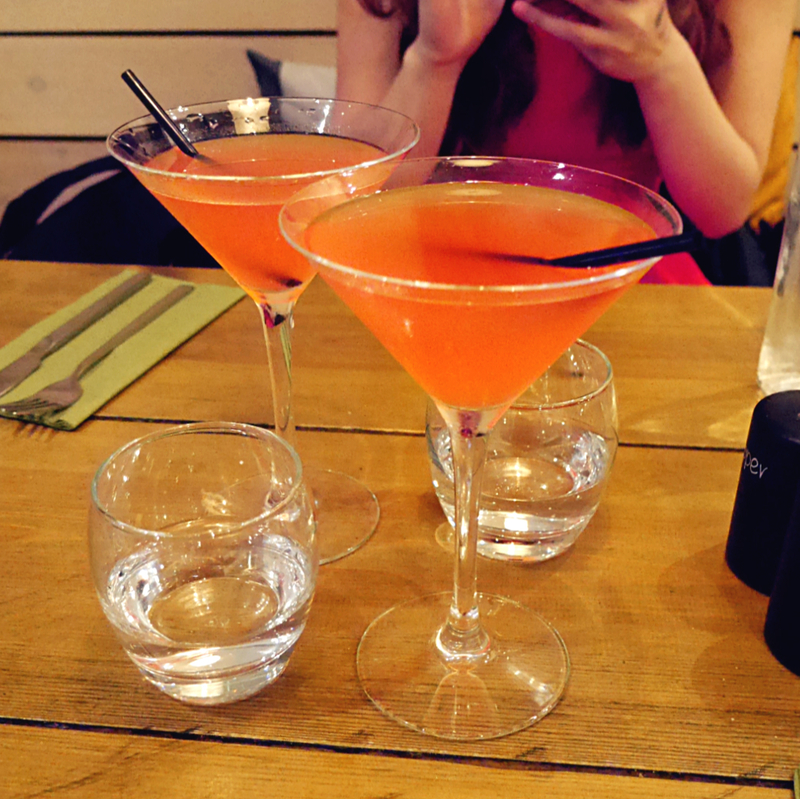 Okay, the outfits are amazing and the drinks look fab! Definitely wonderful to hear your thoughts on this restaurant! I bet this was delicious dear!